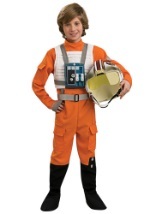 Your child will love laying down the law in this state trooper toddler costume. The outfit includes a plush green hat with attached shiny fabric badge, shirt with attached tie and fabric badges at the chest and shoulder closes at the neck with a tie and Velcro, and stretch pant with elastic waist has an attached leather like belt with holster. Inspire their imagination this Halloween with great additional accessories such as the police belt for trick-or-treat fun.